Stardock has released MyColors 2.5 today. MyColors is a software program that includes everything you need to change your Windows experience. MyColors changes your Windows visual style, icons, wallpaper, and even adds gadgets to your desktop. These gadgets can range from media players to weather forecast gadgets depending on the theme. It doesn't modify any system files and enables users to easily switch between themes and back to default Windows with just a few clicks. MyColors 2.5 now comes with the ability to have themes with sub-styles. 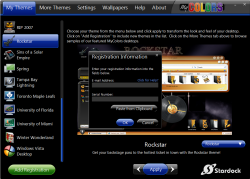 This will allow you to choose variations of a specific theme to let you further customize your desktop experience . A new "Wallpapers" tab has also been introduced that allows users to choose and switch between different wallpapers in the selected theme. The biggest announcement with MyColors 2.5, however, is the fact that it is now compatible with Windows Vista 64 bit. To help kick off the release of MyColors 2.5, Stardock is including the new "Think Green" MyColors theme. 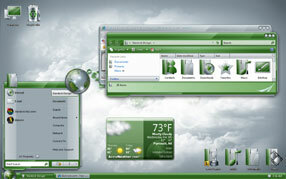 This theme has a beautiful Vista animated start menu, a detailed set of icons, and a matching weather forecast gadget. Now you can show your passion for the planet, with the new Think Green MyColors theme. 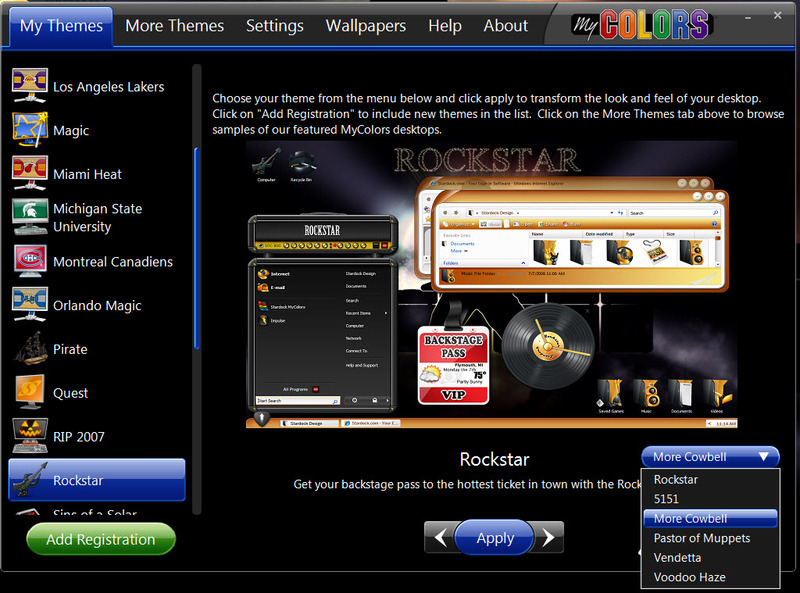 Along with the MyColors 2.5 release, Stardock is unveiling the brand new Rockstar theme. This new theme gives you the ultimate backstage pass to the MyColors experience. 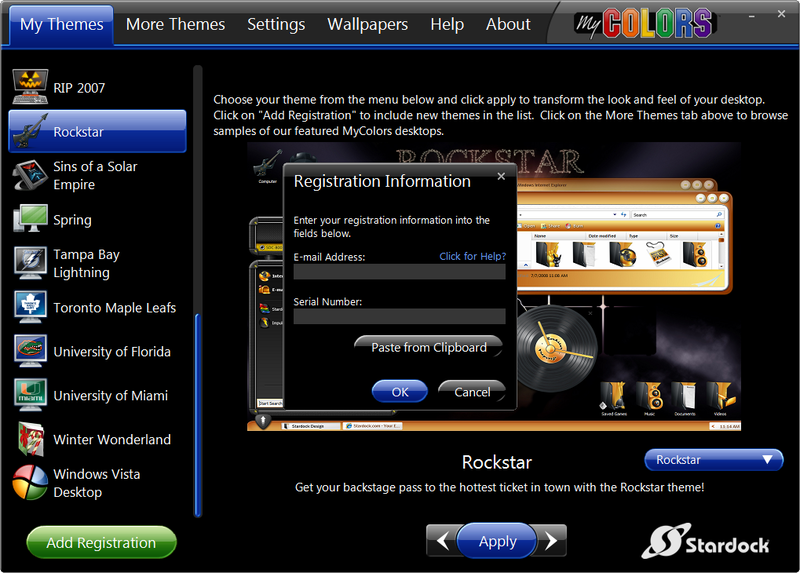 Current WinCustomize subscribers can get the Rockstar skin for free at http://www.wincustomize.com/subscribers.aspx or the entire theme for a discount. 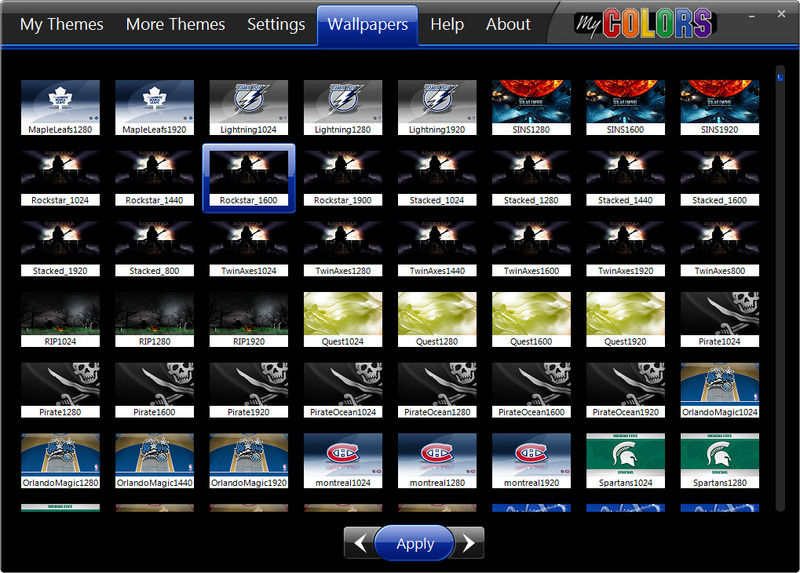 If the Rockstar theme isn't playing your tune, Stardock has teamed up with the NHL, the NCAA, NBA, GM, Ford, and many others to create themes for everything ranging from the Corvette Desktop to the Boston Celtics. In addition, dozens of totally original themes have been created as well as hundreds more are on the way. 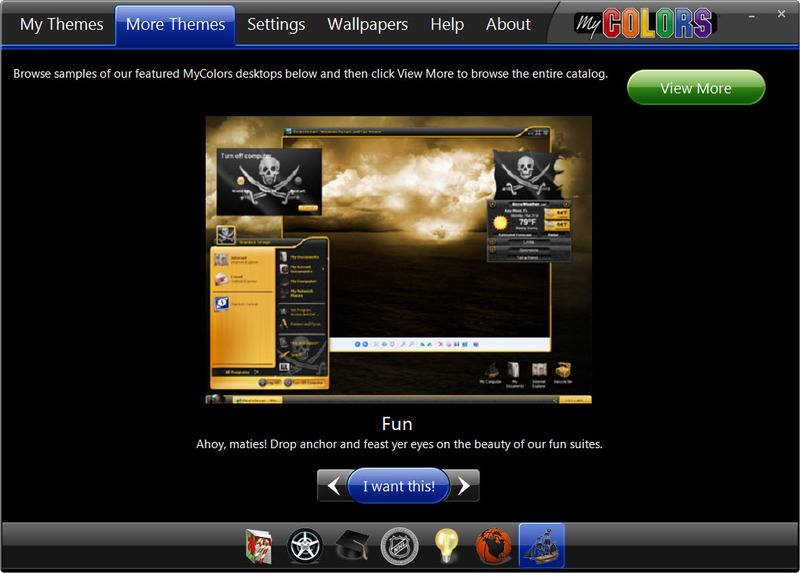 Stardock is also providing 2 free themes on the MyColors website so that users can try MyColors for themselves. One theme, Diamond, can make Windows XP look virtually identical to Vista and gives Windows Vista users a more polished desktop experience. The other, Quest, is an elegant theme that includes everything you need to transform your windows desktop to a new, smooth, lively look. It even includes a unique, animated start menu. You can download MyColors for free from www.mycolorsdesktop.com. MyColors is available for Windows XP (32 bit), and Windows Vista (32 and 64 bit).